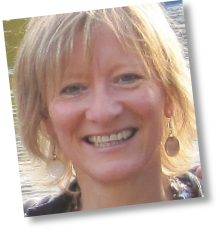 is a writer and facilitator based in Cheltenham, Gloucestershire. She has written fiction and non-fiction for children, teenagers and adults. Sue won the 2002 North East Book Award for her novel Blue and the 2005 Heartlands Award for Young Adult Fiction for Drowning Anna, the American version of the same book. In 2011 Un an après (the French version of Damage) won the Prix Polar de Jeunesse in France. Her most recent books are Under the Sea (2012) and Hill of the Angels (2016). Trained as a teacher, Sue Mayfield has been a regular visitor to schools since the early 1990’s, reading from her work and leading writing workshops. She has taught as an Adult Education and WEA tutor and facilitated other people’s writing in community venues including hospitals and museums. Since 2005 Sue has worked in a range of health care settings, using words for wellbeing. She currently facilitates expressive writing at Cheltenham Maggie’s Centre and, during 2015, is Writer-in-Residence at Southmead Hospital, Bristol (see News).